Increase in the Value added tax (VAT) may affect the real estate sector adversely. 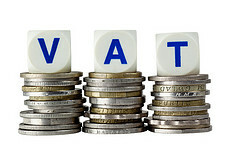 Industry experts stated that increase in VAT would result in materials for construction. The Kerala Budget 2013 proposes an increase in VAT. It is true that the budget 2013 has not done any indirect harm to the realty sector. The budget, though did not help the sector, cannot be termed as unfriendly to the real estate sector. However the realty players in the state fear that the proposed increase in VAT would affect the realty sector. The prices for cement, wood and paint are likely to go up with the proposal to increase VAT. The prices of the above mentioned items are directly related to construction. So in short the prices of the raw materials will have an impact on the property prices too. The property prices will shoot up proportionately. Renovating the entire stamp duty collection system, Maharashtra Government has approved e-payment of stamp duty. Maharashtra govt decides to go online for property tax payment. Property transactions will be easier in Maharashtra now. And you will have more convenience on moving around from office to office, one to the other. All this will be possible in Maharashtra where the government has decided to accept e-payment of stamp duty. To pay stamp duty for your property transactions, you may soon be spared of doing the rounds of multiple offices. Under the new model, the stamp duty for property transactions will be collected by authorized banks. 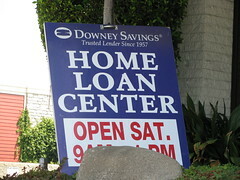 With the approval the buyers will be able to pay the property tax in the bank counter. Under the new system, the buyer, or the one who needs to pay the property tax, can pay the property tax in the bank. However this new system is applicable only for the sum over Rs.5000. Once the stamp duty is paid with the bank officer who collects the amount, the officer will return a digital bill to the payer. The bill, known as Electronic Secure Bank and Treasury Receipt (eSBTR), will look like a stamp paper. Moreover it works as a stamp paper. While the payment is made, the customer has to provide all details related to the property transactions to the bank officer who will feed all the given details in to an online database. The digital bill or the e-receipt is expected to be more secure than traditional stamp papers. It is the main difference between the two. Traditional stamp papers are more viable to falsifying. Making it more secure, the category of the paper used for the receipt also will be entered in the database. So it will be easier for the officials to track the receipts and identify whether the produced receipt is fake or original. The new system of paying property tax through banks will be first initiated in Mumbai and will be followed by Pune. The new system will be introduced in other cities afterwards. Latest knowledge about various rules and regulations in Real estate remain the most important factor for all smooth property dealings.The knowledge about local rules at state as well as district level too, are equally important. If we enter into any kind of property dealings such as lease, rent, buy or exchange of a property without proper knowledge of Real estate rules, there are all the chance of being tricked/duped. Moreover,in future there can be number of legal troubles or hassles as well. So before buying a property one has to go through a number of Real estate rules to avoid all sorts of legal hassles. The knowledge about the dos and don’ts or the Real estate rules will enable one to avoid all such legal hassles certainly. Normally the buyer is supposed to pay the tax known as stamp duty when he or she tempts to buy homes or apartments. This is not the same in the case of property exchange where both the buyer and the seller share this tax. So let’s try to know more about stamp duty. Here are some tips that will make your dream of owning a property and the journey involved easier. Try and get all the information about the builder and the price of the property you are willing to buy in the market along with other general information. 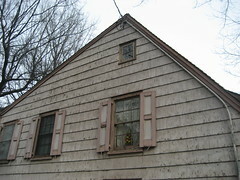 Many times developers build properties according to the need of the market within a limited time. This is called soft or pre-launch. This property is cheaper than others by 10-15%. 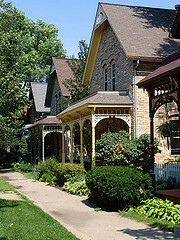 If you plan on buying a property through some broker then his fees will be decided by the property. 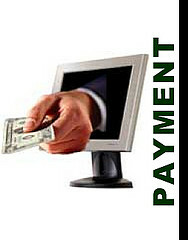 His fee is to be paid, first, when giving the token money and second, at the time of registration. Once you have decided to buy a property, token money is to be paid at that time. According to the price of property token money can vary from Rs.50, 000-5, 00,000. It can vary according to the agreement. Actual price is often known as the Base rate. There are some other prices like car parking, society or club membership, electricity and water. Add all these up and then finalize your budget. Other than this you will have to pay for stamp duty and registration charges. Under-construction or ready flats have different down payment schemes. After giving the token money this comprises of 10-20% of the actual property cost in case of under construction flats where as for ready made property down payment is all the money minus token money. All procedures regarding bank loan must be completed before giving the token money. Bank decides the credit limit after checking property papers and your income details. After giving down payment and receiving letter of approval from the bank, you must get your property registered. After the work is finished developer gets a certificate and thus he hands over the property possession to the customer. Customer should check all the details and clear all payments at this time. After the possession has been given to the customer, builder has the maintenance responsibility of 18 months. After the completion of maintenance period the developer makes the housing society. They get a bank account in the name of the society. This society chooses its representative’s and continue the maintenance work throughout. Have a happy and safe property buying experience.